Norfolk in Spring is a glorious time of year to visit with some incredible walking trails which are abundant with flora and fauna at this time of year, baby lambs being born in farms, Easter egg hunts in some of the fabulous stately homes, and bluebells spreading over acres of woodlands and spring festivals in the region. What’s not to like about being outside at this time of year, whatever the weather throws at you. 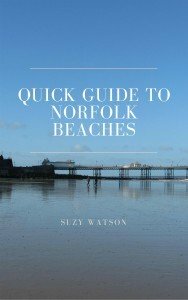 At the bottom of this page I’ve set out a 7 day itinerary as a suggestion for a week’s stay in Norfolk in Spring, or hopefully it will just give you an idea of what you could do for a day or two. So if you're lost for ideas or at a loose end, here are some suggestions. 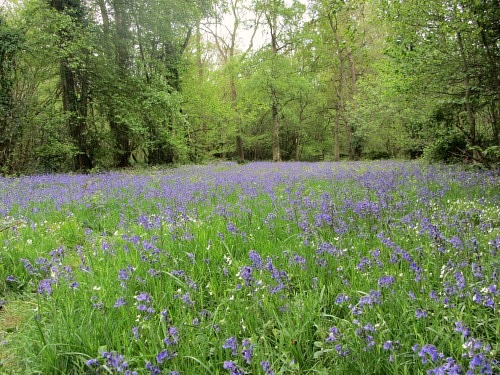 Norfolk in Spring is proud to show off some incredible carpets of bluebells, and they really are amazing to see. Foxley Wood is probably the most spectacular sight. 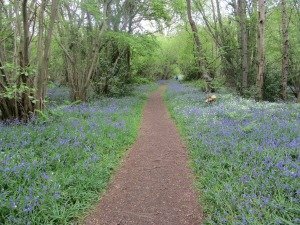 Managed by the Norfolk Wildlife Trust, you’ll be able to have a lovely walk and then immerse yourself amongst the amazing swathes of bluebells. But they are also wonderful in the woods at Blickling Hall and Sheringham Park, both in North Norfolk. 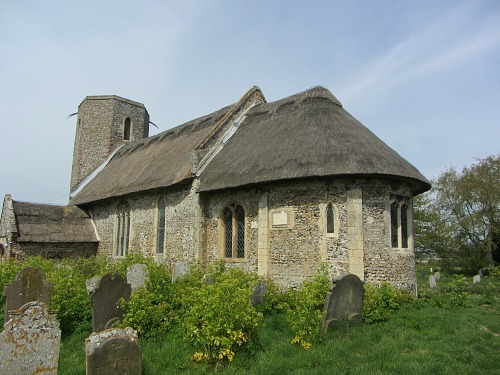 This is one of the most wonderful hidden gems in Norfolk. It's a truly beautiful and large water garden with a huge variety of plants and nature. Whether you like wandering around gardens or not, this one will definitely not disappoint. 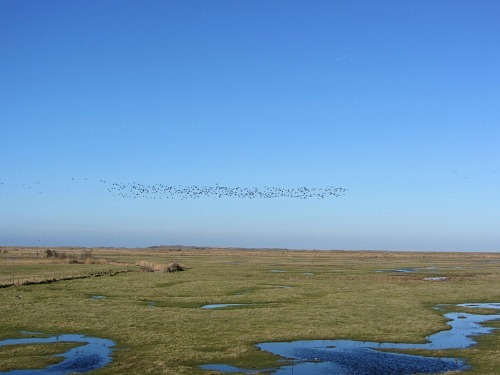 Perfect for something to do in Norfolk in Spring. With lillies and weeping willows on and around the Monet Pond to bridges to bamboo groves and a summer house to while away a few hours, this is a fantastic place to visit. It also has a tea room, a bird hide and a nature trail. 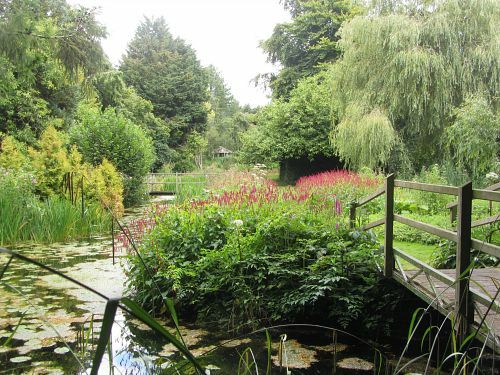 Read more on the beauty of Gooderstone Water Gardens here. Spring is the time to watch out for tadpoles and there’s no better place to go with your children than the RSPB nature reserve at Strumpshaw Fen for this. They have a special pond dipping pool. 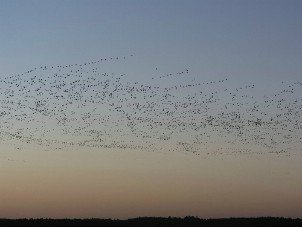 It’s a great nature reserve and isn’t too big so you can go for a few lovely colour coded walks whilst there, as well as stopping to pop into the hides to watch the birds on the pools. They do have hands on wildlife days as well. You may also see wild orchids in the meadows at this time too. There’s more information on Strumpshaw Fen here. 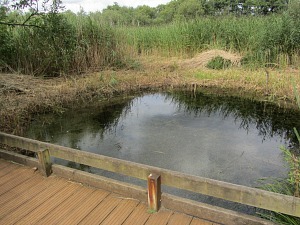 The other nature reserve geared up for pond dipping is NWT Ranworth Broad. 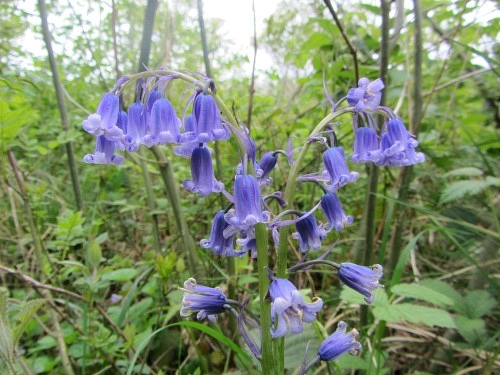 Norfolk in Spring is a great time to visit many of the nature reserves, and you can read about lots of them here on my Norfolk Nature Reserves Page. All children want an Easter Egg Hunt! So many of the National Trust properties help you and your children to enjoy your day with specially designed Easter Egg Hunts. Cadbury, that lovely chocolate producer, usually get together with the National Trust and put on trails around the amazing National Trust houses we have here in Norfolk. 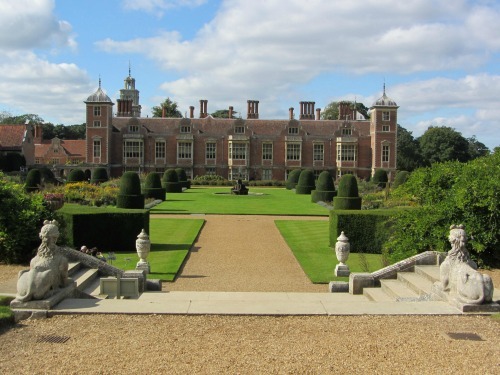 So Norfolk in Spring you will find events at Blickling Hall, Felbrigg Hall, Oxburgh Hall and Sheringham Park. It usually costs a nominal £2.50 or thereabout per person, even if you’re a National Trust member. And the added bonus with taking your children to one of these egg hunts is that all of these gardens are fabulous at this time of year so it’s a great day out for all the family. And unless it is very horrible weather, the events are always on. I told you Norfolk was an outdoorsy county! For more details of the Easter Egg hunts you need to go to the National Trust website. Here is the link for Blickling Hall East Egg Hunt. What a fabulous place to visit in the Spring and probably the best time to visit with the mass of rhododendrons and azaleas and it’s such a beautiful place to walk. 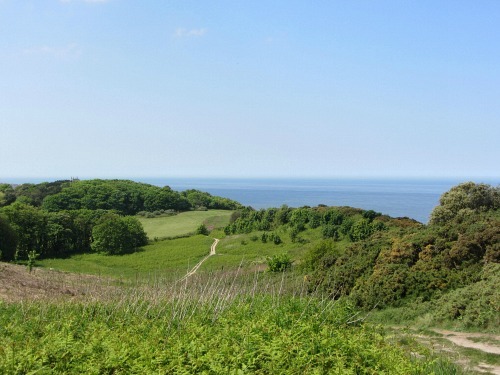 You can either walk in the woods and go for a lovely circular walk, following the colour coded posts, or just wander down the gravel path towards Sheringham Hall and take in the views over to the sea. But if you’ve got children you can make a real day of this by taking a picnic and walking all the way to the Gazebo – they’ll love climbing to the top (so will you!) because the views are fantastic. And after that, run them up to the temple which again has lovely views over the park and towards the sea. 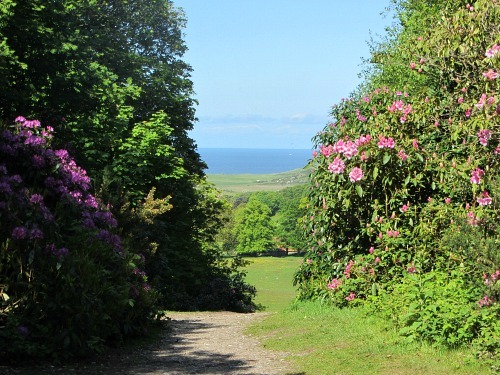 Sheringham Park is an excellent place to visit all year round. 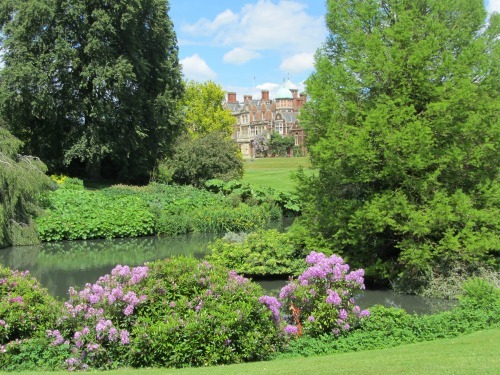 All the stately homes are delightful to visit, but Sandringham House in the Spring is yet another fantastic chance to visit a stately home which comes alive with rhododendrons and azaleas and the grounds and ponds are just beautiful to wander around. No better place to spend Norfolk in Spring than here. It also has some lovely wooded walks outside the grounds, so if you don’t actually want to pay to go into the house or grounds, you can still visit and have an excellent (and dog friendly) walk in the woods. Walking is becoming an incredibly popular activitiy in the UK, and there's no better place to walk than in Norfolk as it’s all easy graded! No steep mountains here to worry about! Walking covers all the seasons, an activity that is enjoyed all year round, but with the days getting longer and the warmth beginning to filter in to the air (sometimes! ), Spring is a fantastic time to walk these beautiful and easy trails. We have various options here on the website. Some walks are short circular walks that are easy to follow and can be done in a few hours, others we can organise for you, leaving you to enjoy your holiday without any worries. You can read much more about each of these particular walks on the pages dedicated to each trail. 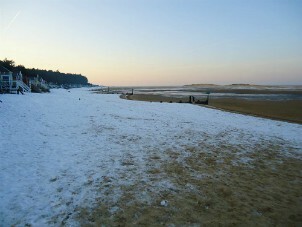 For these trails you can visit our Norfolk Walking Holidays page. 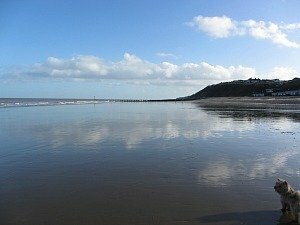 There are also many other walks that would be perfect to do in Norfolk in spring, whether they be by the coast or inland. I have put up a few walks on this website which again you can read about in more detail here. The perfect Spring activity for your children, and maybe you! Oh yes, this is a must for children! Many of the animal farms in Norfolk have special “feed the lambs” events on, this is obviously over the Easter period and usually from February to May. But at any time of year these farms are great fun and a good day out. Snettisham Park Farm has a wonderful deer safari, Church Farm has an excellent indoor play area as well as many other activities. You can visit their websites to see more details on dates for these activities. As already mentioned in Norfolk in Autumn, this is such a fun activity for anyone of any age so long as they are older than 8 plus - (12 years old to 100 is best!). It's so totally different to anything you will have done before. 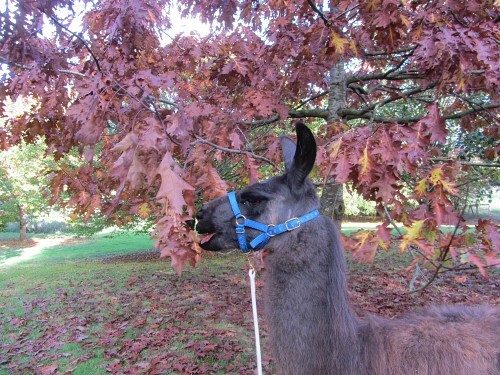 You can read about how excited I was to visit Norfolk Llamas and do the llama walk! This is one of the oldest and largest festivals in the UK, and the largest in the East of England, and takes place in May, usually for about 17 days. It’s described as a multi art festival and covers a huge range of events from theatre, art, contemporary and classical music, unique concerts, events for children, the circus and more. 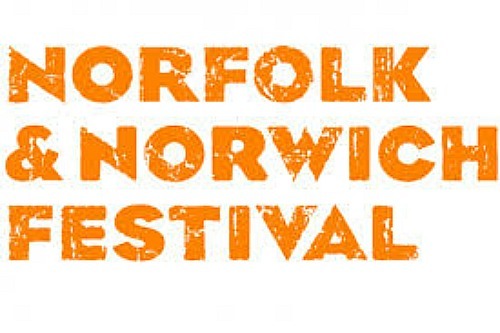 You can find out much more about the Norfolk and Norwich Festival here. This crab and lobster festival is on a completely different wavelength to the Norfolk and Norwich Festival in that it celebrates the very important fishing industry that has kept towns like Sheringham and Cromer alive over the years. 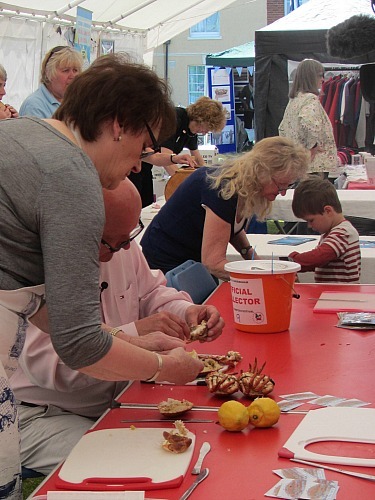 This runs over a weekend in May and is full of fun, stalls selling local produce, cookery demonstrations, model lobsters and crabs around the towns and a lively atmosphere to brighten your weekend.